Dale Earnhardt Jr. has announced his retirement from the Monster Energy NASCAR Cup Series following the 2017 season. As the Hendrick Motorsports driver prepares to climb into the race car for the final time at each track (or at least likely the last time, as he has left the door open for possible one-off races), we take a look at how he has fared over the years at that venue and what to expect in his last ride there. Biggest highlight: The biggest was the July 2001 win where he won the first Cup race at Daytona following the death of his father in the 2001 Daytona 500. Winning his first Daytona 500 in 2004 ranks near or at the top as well. In the Xfinity Series, he won driving a No. 3 car in 2010 that had a Wrangler scheme similar to that of his father. Worst highlight: The death of his father in the 2001 Daytona 500, a race where Junior finished second. Outlook for Saturday: Is he going to be the driver who was leading the Daytona 500 when he spun out? Or is he going to be the driver who struggled to pass at Talladega? With the slickness of the hot summer night, it might lean toward the latter. 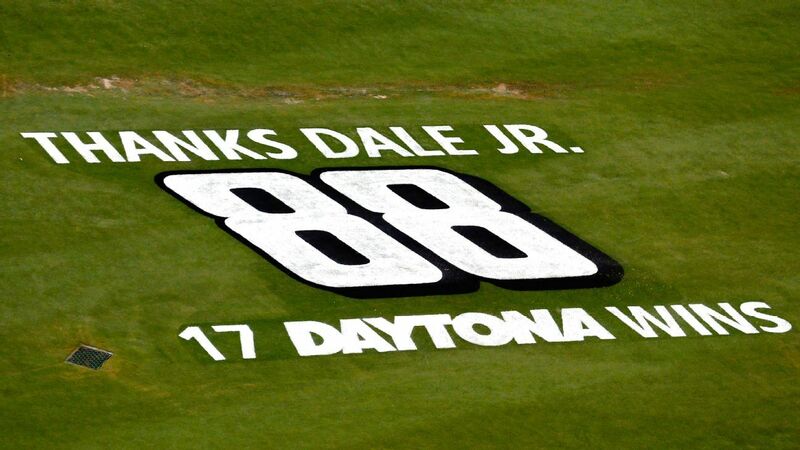 But don’t underestimate the mystique of Daytona and the prospects of Earnhardt knowing this could be his last chance to win on the track that in many ways defines his family. In summary: Earnhardt doesn’t have just four Cup points-race wins at Daytona. He has six Xfinity Series wins, five duel wins and two wins in the Clash. He loves this place. But while many feel Earnhardt “grew up” at Daytona, here is one interesting fact: He never attended the Daytona 500 until he raced in one.